What if our world wasn't the only of its kind? Not just a different planet with a different species of life, but a duplicate of our own. Would your other self make the same decisions? Would you trade places? I'm a sucker for The Cinematic Orchestra's "To Build a Home," so that certainly drew me to the trailer, but the story of Rhoda Williams' quest for a fresh start is what really got me interested in Another Earth. Starring Brit Marling, who you may remember as Britta's "lesbian" friend from this past season of Community, and William Mapother, who you definitely remember as creepy Ethan from Lost, it looks to bring heart and soul to a complex sci-fi premise. I'm almost getting a Contact vibe from this trailer. 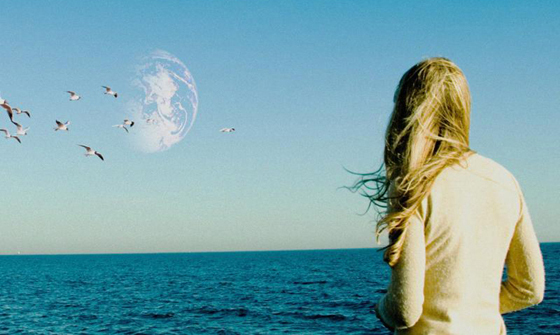 Another Earth arrives in theaters this Friday, July 29.